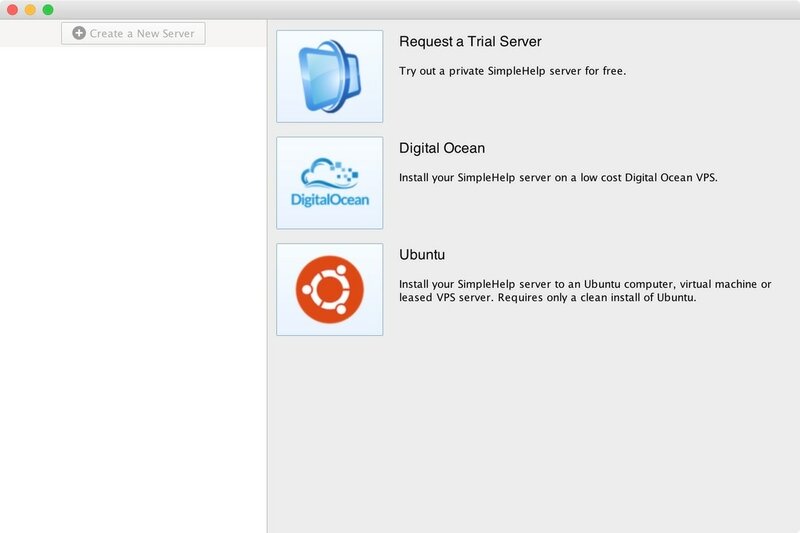 SimpleSetup is the easiest way to setup and manage a private SimpleHelp server. on your own private server or VPS just by entering in the relevant login details. Need more time or sessions? The following guides provide more details about configuring and using SimpleHelp. The Technician app is how you connect to customers or unattended machines and configure your SimpleHelp server. Download it from your server welcome page and then check out our Technician Guide. Branding gives your customers confidence that they've arrived at the right place - your business. Check out our Branding Guide for tips on how to put your stamp on SimpleHelp. Remote Access gives you 24/7 monitoring and unattended access to your computers . Our Remote Access Guide explains how to set up a computer so you can manage it at any time. Go under the hood of your new SimpleHelp server with our Administrator Guide for a range of options including virtual support queues, LDAP authentication, email logging and much more.